Soy and wheat have far surpassed sugars and dairy as the two biggest problems in our food supply negatively affecting our weight and long-term health. 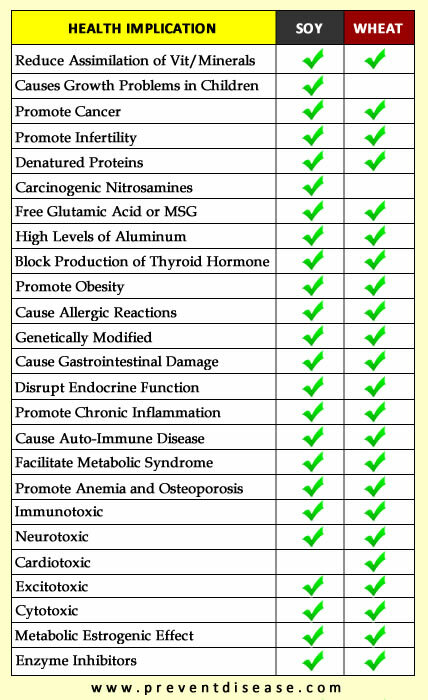 Both nutrients are practically unavoidable when eating any kind of processed foods and each is profoundly inflammatory, immunotoxic and neurotoxic. Here’s a breakdown of the health implications related to processed soy and wheat.